THE DISCONNECTED MAN tracks the journey of one man's surprise discovery of his own disconnectedness and his desire to help other men, and the women who love them, before it is too late. Disconnected men hide out in plain view: in our churches, in our families and in our communities. They are competent, capable men who quietly 'do their duty' and attract little attention. They are fairly happy guys, relatively unemotional and capable of carrying heavy loads of responsibility, but are very difficult to get to know beyond superficial friendship. A closer examination inside their marriages reveals a desert strewn with emotionally emaciated spouses. While their competence may build the church, organize a group, or run a company, they haven't the slightest notion how to connect intimately with those they love. Their wives suffer, usually in silence, while the church and culture press past this couple secretly falling apart. Jim Turner was that disconnected man going about his life, happily fulfilling his duty within his own self-protective bubble, until God suddenly burst it in a most horrific way. His story starts when that devastation left him clinging precariously to the remaining shreds of his broken marriage. Jim longs to share with other disconnected men what he learned through that ordeal, to help them understand their disobedience and show how they can achieve real connection with those they love. 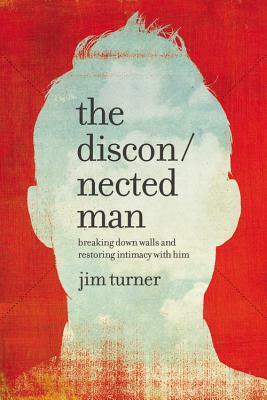 "The Disconnected Man" by Jim Turner is a great book. Really. At first, I wasn't sure i would benefit from it as a female, but then I really learned a lot about men who disconnect relationally from others, especially their wives. Honestly, this isn't a book slamming men, the author writes from his own perspective and gives clarity on the subject. This book is perfect for the man in your life to see the areas where he is doing really well and the other areas where their may be things that bring awareness. I think this book is very helpful and I know my husband would enjoy this book. As I said before, Turner writes this book with taste and it isn't meant to be as a slame. This book is honest and even raw at times, but Jim has been there, he has battle scars and it's very personal. Wives if you think that divorce is the answer, grab this book and read why your man has disconnected or read together. Don't throw in the towel. This provides great insight. I give this book 4.5 /5 stars.